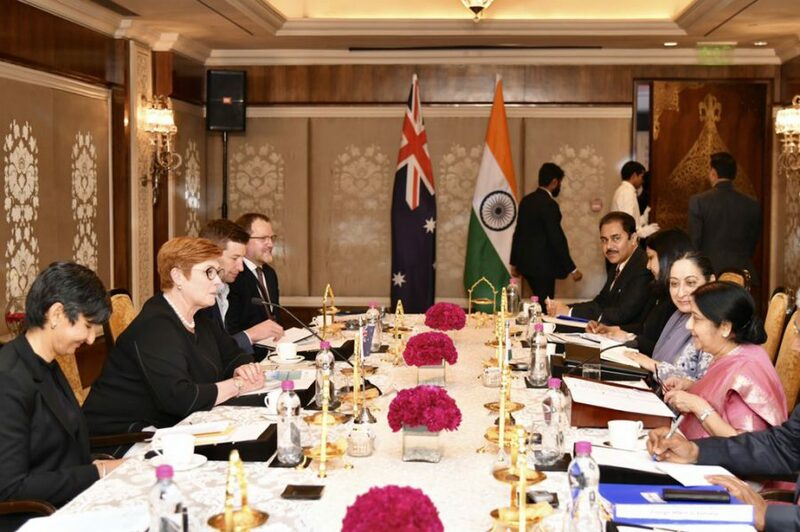 In January, at the Raisina Dialogue in New Delhi, Foreign Minister Marise Payne enunciated her government’s pitch to develop closer relations with India. Her speech was an attempt to reassure India and the broader region of Australia’s commitment to maintaining a rules-based order in the Indo-Pacific. This has important implications for the future of the regional security architecture, especially for groups such as the revived Quadrilateral Security Dialogue (Quad). Although the Quad’s future, as Jeff Smith argues, will ultimately depend on China’s actions and the threat perceptions of Australia and India, at the moment both are keen to focus on strengthening the bilateral relationship and extending minilateral and multilateral cooperation through other channels. This works well for both nations as they try to manage relations with China in the lead-up to their general elections. The Indian Ocean is central in Australia’s strategic imagination. Canberra has a ‘long-term’ commitment to deepening engagement with India. Australia envisions a role for India in the Pacific. The Quad isn’t the Indo-Pacific. The Indian Ocean region has featured heavily in recent Australian strategic discourse, especially since the release of the 2013 defence white paper and more prominently since the 2017 foreign policy white paper. Payne highlighted Canberra’s vital interests in the region, which include protecting Australia’s vast exclusive economic and search and rescue zones, offshore territories and critical sea lanes of communication. Australia’s plan to invest $1 billion in defence facilities, including frigates, offshore patrol vessels and submarines in Western Australia, reflects that commitment. More importantly, Payne’s emphasis on the adjective ‘long-term’ merits attention. This is an important juncture in a relationship punctuated by false starts for over two decades. For Australia, India has emerged as an economic and political counterweight to China, at a time when its relations with Beijing are under considerable stress. The Morrison government’s endorsement last year of the India Economic Strategy 2035—a road map for closer Australia–India relations—indicates that Canberra has finally woken up to the opportunities presented by India’s impressive economic growth in the past three decades. 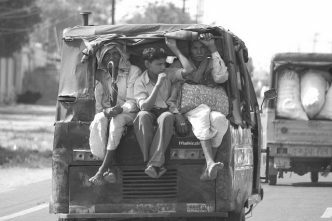 Payne’s announcement of the $25 million South Asian Regional Connectivity Initiative, a four-year program to improve infrastructure in sectors such as transport and energy, illustrates Canberra’s investment in South Asia for the long haul. Canberra also now seeks New Delhi’s support and involvement in its own backyard—the South Pacific. 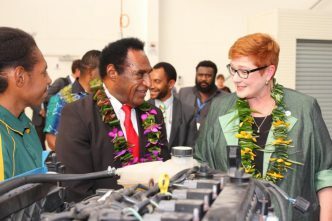 While highlighting her government’s $2 billion Pacific pivot, Payne remarked that Australia looked forward to ‘engaging more closely with India to support our partners in the Pacific region in the years ahead’. Only two decades ago, Australia actively opposed India’s inclusion in APEC, as Graeme Dobell revealed in The Strategist recently. 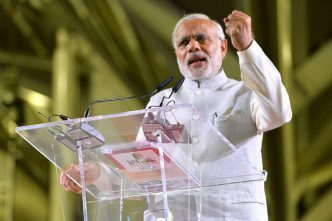 Canberra’s new outreach to India is thus a paradigm shift in Australian attitudes towards India. 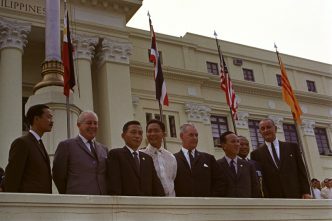 What does this mean for the Quad, which is often considered one of the main pillars of the US’s Indo-Pacific strategy? Interestingly, Payne’s mention of the Quad was very brief, and she grouped it with the other multilateral and minilateral forums that Australia and India are part of, such as the Indian Ocean Rim Association, the East Asia Summit and the ASEAN Regional Forum. Moreover, she echoed Prime Minister Narendra Modi’s emphasis on ASEAN centrality in a discernible attempt to reassure the Southeast Asian nations that they’ll continue to play a major role in the Indo-Pacific and that their interests will be respected. There are clear parallels between how Australia and India see the Indo-Pacific and the Quad: both view it as just one platform for cooperation and are unwilling to attach any great importance to it. Last year, for example, it was reported that the US and Japan were keen to elevate engagement in the Quad to the foreign secretary/foreign minister level. While New Delhi refused outright, Australia’s position remained unclear. Before the third meeting of the Quad in November 2018, Indian officials were said to be insisting that their US counterparts not ‘conflate’ the Quad with the Indo-Pacific. Whether Payne’s speech was a recognition of Indian sensitivities or Australia’s own policy on the Quad, it indicated that Canberra’s views align more closely with New Delhi’s—at least for now. Given the Quad’s obvious anti-China undertones, it’s clear that both New Delhi and Canberra are keen to downplay its importance as they balance their difficult relationships with China in the lead-up to their national elections. True, foreign policy is rarely an issue in ballots in democracies but, where China’s concerned, India and Australia are walking a tightrope. For India, outward peace with China means potentially avoiding another Doklam-like confrontation. For Australia, the Morrison government is on a mission to reset relations with Beijing after two years of friction. 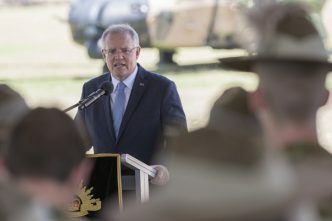 Australia’s policy on the Quad will continue to hinge on the government’s strategic priorities, and policy continuity on this front isn’t a given. India, on the other hand, could change its tempo on the Quad, but that would depend on China getting more aggressive along its border and in the Indian Ocean. It’s difficult to say what lies in store in the long term. The Quad has been variously described as providing a matrix for, and sometimes a distraction from, deepening bilateral and trilateral cooperation among the US, Japan, Australia and India. At other times, the Australia–India connection has been seen as the weakest Quad link. Some analysts question India’s continued reluctance to allow Australia to participate in the Malabar naval exercises; others caution against using Malabar as a litmus test for the Quad. While the bilateral relationship has definitely undergone a major transformation, including unprecedented diplomatic and military exchanges in the past year, a lot now depends on how China behaves. For now at least, it’s time for the Quad to lie low. Aakriti Bachhawat is a researcher with ASPI’s defence and strategy program. Image courtesy of Marise Payne on Twitter.